Today’s whisky drinkers deserve to drink in panache. Whisky drinking accessories add some style to what could otherwise be nothing more than a mundane drinking habit. Whisky is something you drink at leisure, enjoying sip after sip. So, it’s totally rational to use the most innovative barware highlighting the barrel-aged artistry of this drink. 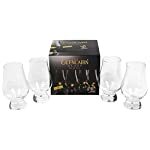 If you are looking for whisky accessories online, especially for the purpose of a gift, here’s what you should look into. Normann Copenhagen Whisky Glasses: Fine whisky poured in the finest vessel is not just stylish but also gratifying. Designer Rikke Hagen has the most elegant range of contemporary whisky glasses that enhance the expression of even the most common whisky. With a solid weighted base and geometry of the lid, the glass design is fantastic, keeping in mind modern whisky connoisseur. Check out this amazing whisky glass here. Macallan Ice Ball Maker: Traditional ice cubes, just out of the freezer, would cool your drink. However, they melt very quickly and usually dilute the spirit as a result. In fact, it may erase the major tasting notes too. Spherical ice cubes having lesser surface area melt slower while dropping the temperature simultaneously. Macallan Ice Call Maker is what you need. Crafted from high-standard aluminium alloy, it produces four perfectly round-shaped ice spheres in less than a few minutes. Definitely worth gifting! Gentleman Whisky Pipette Eisch: Did you know that adding a few drops of freshly distilled water to the glass of your aged whisky lends new flavours and aromas? The amount of water to add, and when to add, is pure science, but you need not buy lab equipment for this purpose. The Gentleman Whisky Pipette Eisch is a gold and crystal accessory to be used for this purpose. It is the best-looking thing to add water to whisky and leave it just there. LSA Islay Decanter: Decanters are common with wine; it is partly for form and function. However, when it comes to whisky, it’s all about style. The Islay Decanter has smooth lines with mouth-blown glass, which makes it aesthetically refined as a choice to store and serve precious spirits of the world. Its quality and simplicity make it worth purchasing. West Elm Terrace Bar Cart: Whisky drinking accessories are not just limited to glasses and decanters. Even the bar cart adds to the style factor. Perfectly designed for entertaining guests, this particular bar cart is a must-have for all well-appointed homes. With a glass top shelf having mirrored bottom shelf, it creates a light-filled space that is both classic as well as contemporary. Randolf Dordoni Ice Bucket: How do you like your whisky, on the rocks or neat? It’s a matter of preference only. An ice bucket completes the list of whisky drinking accessories you must have in your home bar. Randolf Dordoni Ice Bucket is the best whisky accessory online when you need a few cubes. Designed by Rodolfo Dordoni, the Italian architecture of this beautiful accessory offers an elevated version of essentials with a major upgrade. Perfect utilisation of negative spaces ensures full cubes are readily available while melted cubes drop down to the bottom. Get the best whisky accessories online and gift whisky lovers.